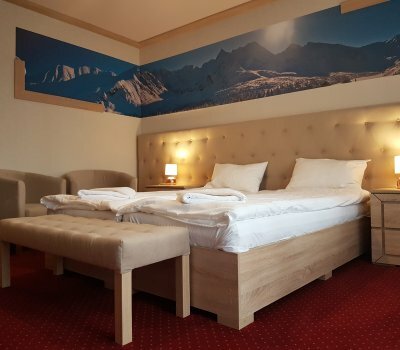 A triple room (30 m2 big) is equipped with a double bed (160 cm wide) and one single bed (90 cm wide). It is very bright with a big balcony and deck chairs (summer season). There is a wardrobe (in the small hall), a table with chairs, a dressing table and a TV set (of kinescope), a radio and an electric, wireless kettle. 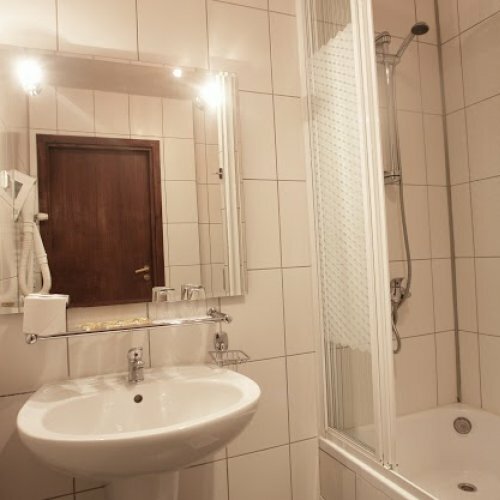 There is a shower and a hair dryer in the bathroom. A room views the south, sunlit with visible Giewont Peak in the background (in some cases the view can be disturbed by pine trees from our garden). 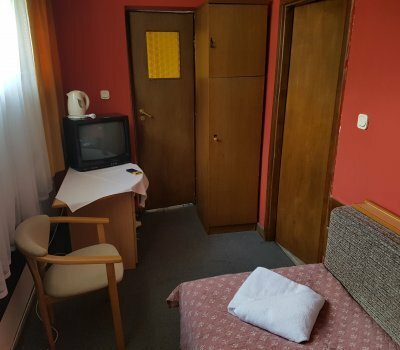 They rooms are not renovated yet but clean and one can notice signs of exploitation and 1990s design. 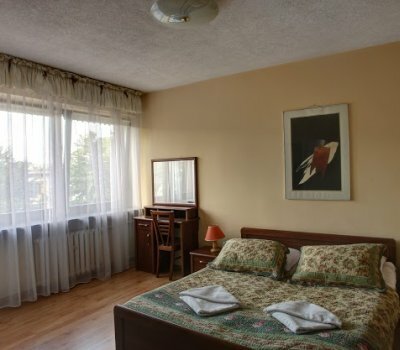 They are very liked by regular Guests because of their unique atmosphere that guarantees peacefulness and comfort. A room can be provided with a crib but it is not possible to provide it with an additional bed. 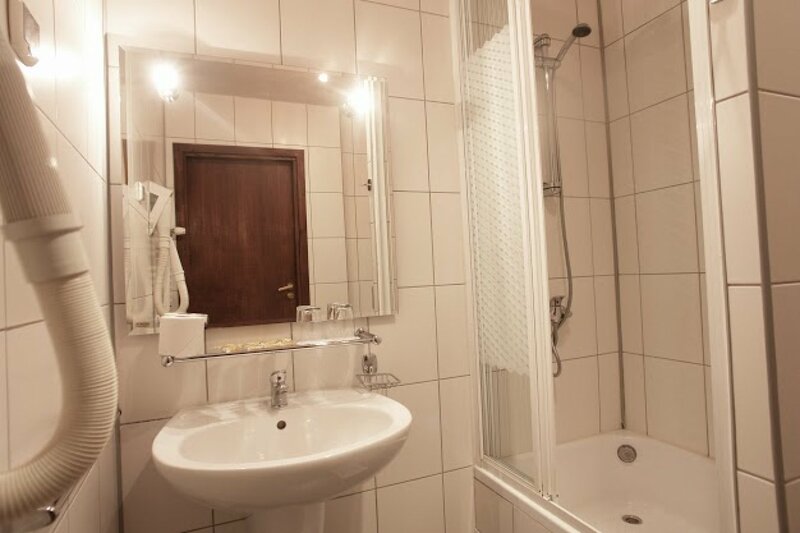 A hideous, lossy and small room with an old bathroom since 80ts.Whit a window under the ceiling on the north side. Particularly recommended to the blind or under the influence of dulling agents.